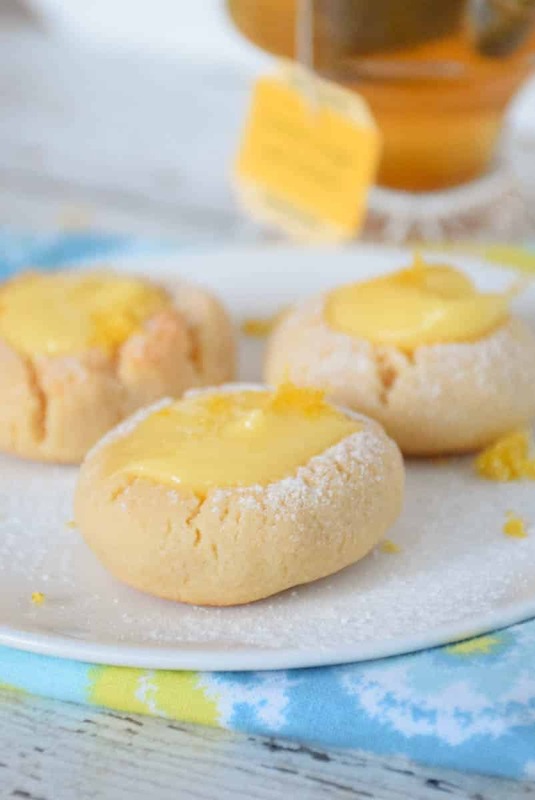 These Low Carb Lemon Thumbprint Cookies are sweet little bites filled with a delicious sugar free lemon curd. 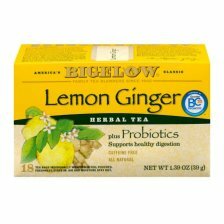 I served them up next to a hot cup of Bigelow Lemon Ginger Probiotics Tea to celebrate hot tea month and the feel better goal accomplishments I made over the last year! A little more than a year ago I decided that I was going to get healthy and stay healthy and the way I was going to do that was incorporate exercise and healthy eating habits into my life! 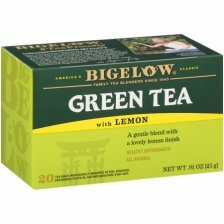 Interested in enjoying a hot cup of Bigelow Tea this fall season? Hover over the photo to click through to Walmart.com and buy it! Mid-year I decided to go to a low carb lifestyle and that made a huge difference in how I felt! This year, I plan to continue with my lifestyle change and plan to have an improved report for next year. 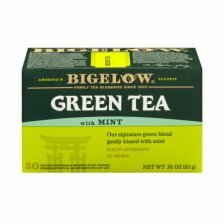 This of course, continues to incorporate the use of my favorite Bigelow Teas! Last year I incorporated more exercise and changed my eating habits. 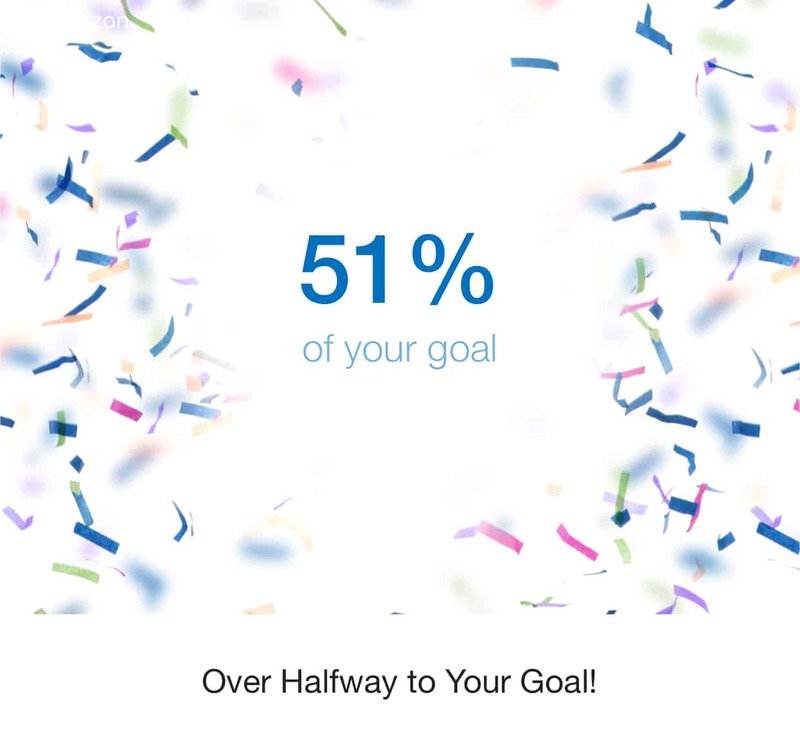 To date, have lost over 30 pounds and have just recently met 51% of my goal!! There has been nothing “easy” about it, other than it is easy for me to enjoy the food and drink that I do put into my body. 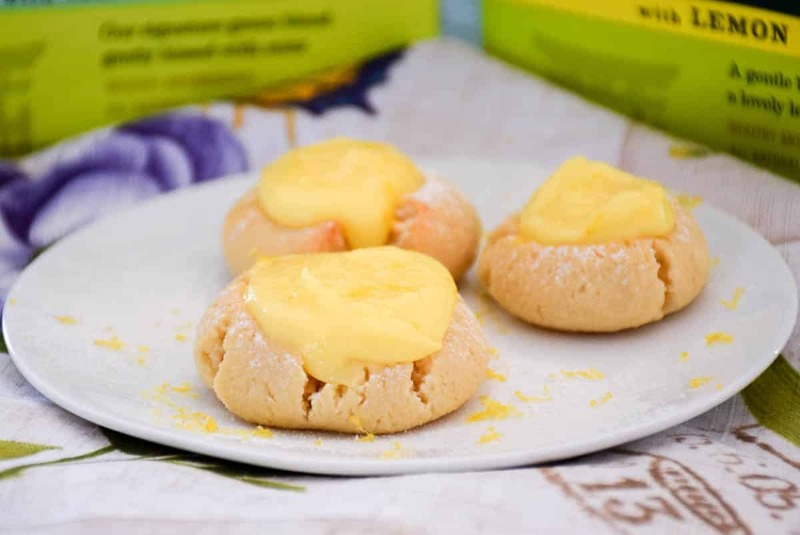 Recipes like these Low Carb Lemon Curd Thumbprint Cookies, paired with a hot mug of Bigelow Tea help to keep me on track and feeling great about myself. When the temps turn as cold as they have here in New York recently, celebrating hot tea month is even more satisfying! I love my tea and drink it throughout the day whether at home or in the office. I love how drinking hot tea not only warms me up, but it also makes me feel good about myself! How about you? Have you made lifestyle changes that have made you feel better about yourself or are you thinking about making those changes? Many people choose to do so at the beginning of a new year. Never fear, even though the year has already started, you can still make those changes and reach your goal! 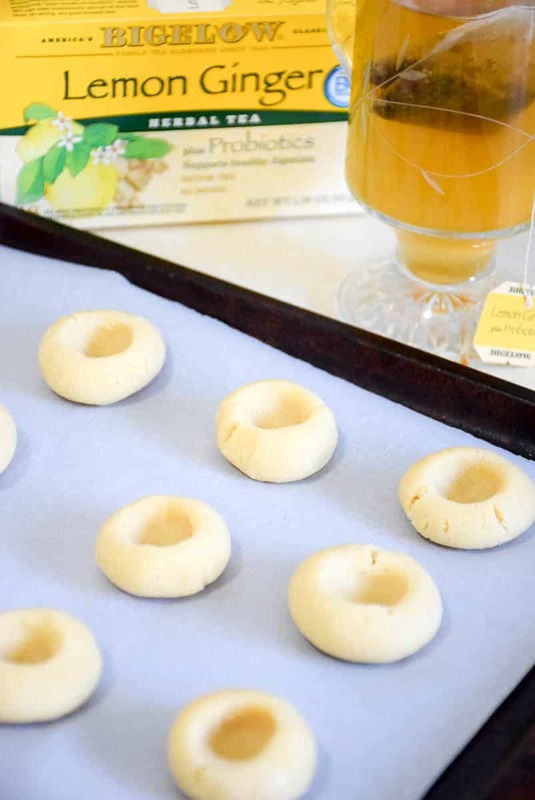 While your doing it, enjoy a cup of Bigelow Tea and make a batch of these cookies. Promise, you will feel the immediate results of feeling better about yourself! 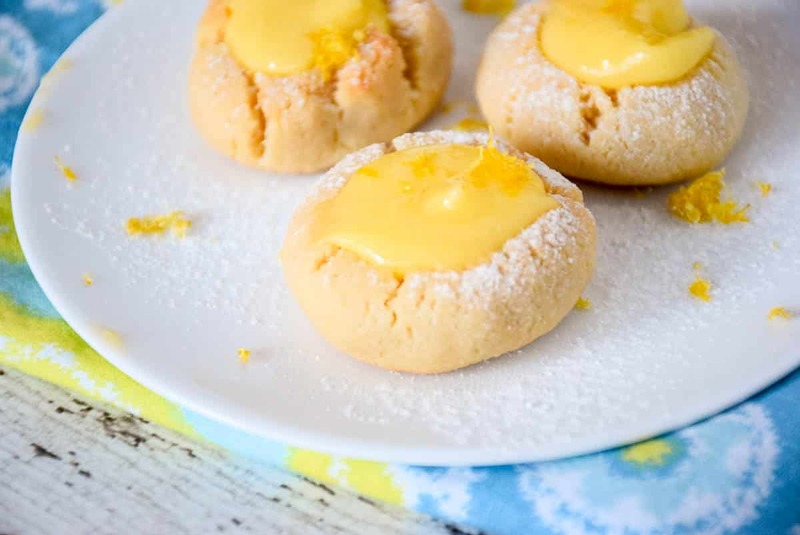 These Low Carb Lemon Thumbprint Cookies are sweet little bites filled with a delicious sugar free lemon curd. A perfect sweet treat for your Keto diet! Make the lemon curd ahead of time and place in refrigerator to chill. Whisk together lemon juice, sugar free sweetener, and eggs until well combined. Place in a double boiler with a hot simmer and stir constantly until thickened, about 10 minutes. Remove from heat, add butter and lemon zest. 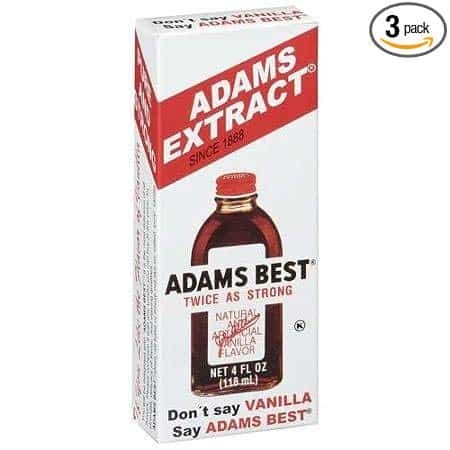 Stir until combined and creamy. Chill until ready to use. In large mixing bowl, cream together cream cheese and butter. Blend in sweetener until well combined. Add almond flour, coconut flour, salt, and vanilla extract. Mix until stiff dough forms. Measure about 3/4 tablespoon dough and shape into ball. Place on cookie sheet lined with parchment paper and put a small indent in dough with thumb. Bake for 12-15 minutes. Remove from oven and cool completely. 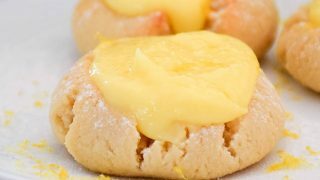 When ready to serve, place 1 teaspoon lemon curd in center of cookie. Store unused lemon curd in refrigerator. 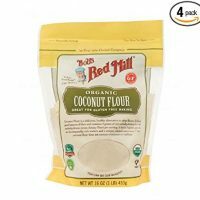 Updated 4/7/19: You can choose to use powdered or granulated swerve in the cookie dough, whatever your preference is. I have used both and have had good results every time. Interested in more? 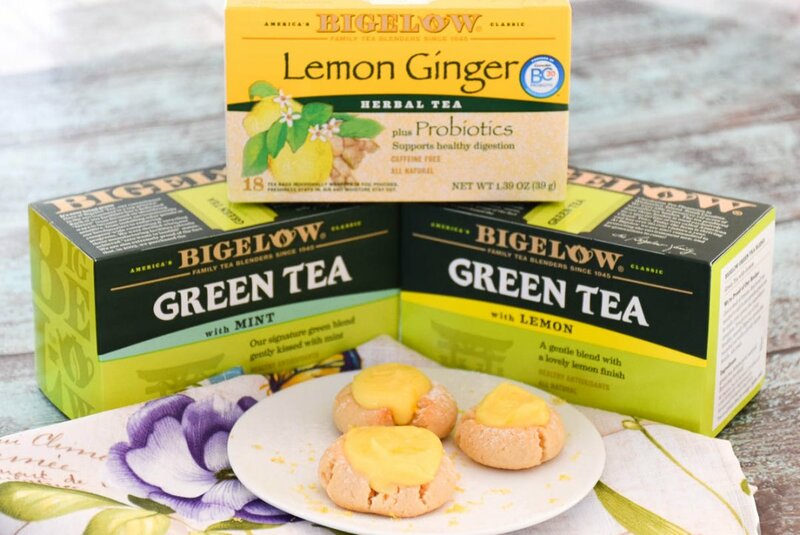 Check out Bigelow Tea on Facebook | Twitter | Instagram! 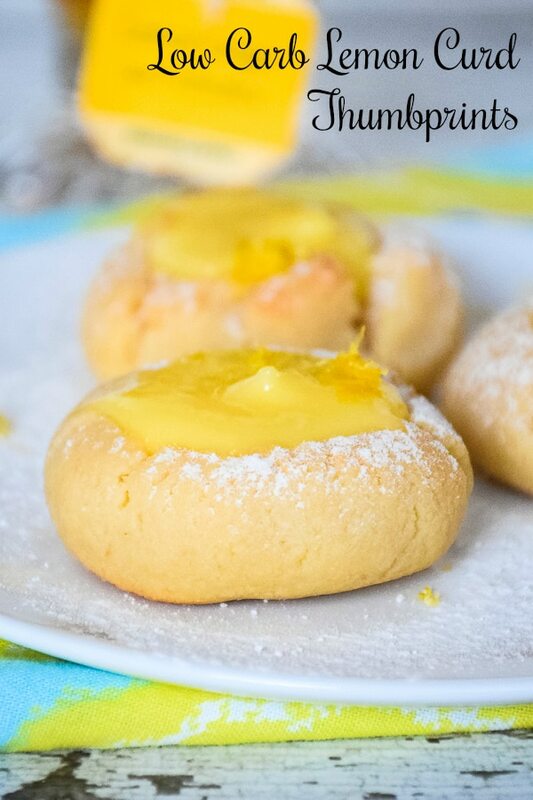 Low Carb Lemon Thumbprint Cookies – Pin it! I love thumbprint cookies and I think these would be super fun to make! You had me at lemon! I can’t wait to try making this recipe! Which sugar free sweetener do you use? Would Truvia or Pyure work? Yes, I’m sure Pyure would work, I have used that one before. I normally use Swerve granular and powdered. 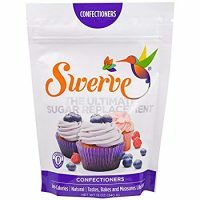 I’m thinking truvia would probably work but I don’t recommend the blend as that has sugar in it (if you are trying to completely eliminate sugar). This recipe is DELICIOUS! My son loves key lime pie so we substituted lime for the lemon, and instead of vanilla extract, we used 1/2 tsp rum extract and 1/2 tsp coconut extract. You can use this base cookie recipe for just about any flavor, and also, I absolutely love, love, love that this cookie is soft and chewy. 😀 Thank you for sharing your recipe. The cookie recipe says granulated swerve but then the cookie instructions say mix in powdered sugar. So is it granulated swerve or powdered sugar? Hi Angela, in the recipe it indicates granulated swerve for the cookie dough and powdered swerve for the lemon curd. However, since I posted this recipe, I have used powdered swerve in the cookie instead of granulated and it does work.